The before and after smile simulations are a powerful communication tool for dentists to show patients how cosmetic dentistry can transform their smile. See how a digital smile makeover can turn ‘maybe’ into ‘yes’ and keep your patients smiling! The above example shows how the patient would look with a smile makeover. 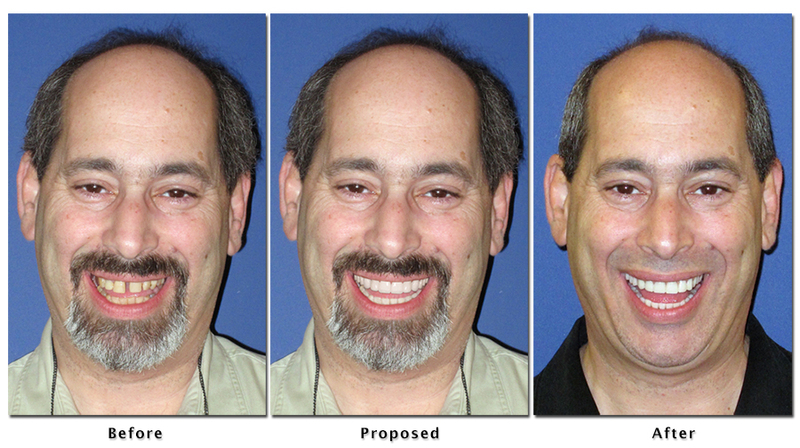 The "After" is the actual treatment the patient received as a result of the smile simulation. When smile simulations are used correctly in a patient presentation, acceptance rates increase dramatically. SmilePix has been providing cosmetic imaging services to dentists since 1999. We have helped dentist increase their cosmetic case acceptance rate. You can submit your first case for free. Dr. Lorin Berland (AACD Accredited Fellow) talks about how he uses cosmetic imaging in his practice. Whether you have SmilePix create smile simulations for you or your do it yourself, this is a must watch video.